← I might be a little behind…and a little ahead. Where’s the not like button? Yeah, I was pretty upset. At least there’s another season on its way? That’s unfortunate. I hlpe the hard freeze that happened last week didn’t claim your tomatoes. I’m holding out for at least another 10 days before I put anything other than potatos and onions in the ground. I was thinking about you and that you had just planted your tomatoes. Mother nature isn’t kind, is she. I’m happy that some of what you planted survived the cold. The tomatoes died under the tarp… pregnancy brain and gardening aren’t working well together so far this year, but I’ll take growing one baby successfully over anything else this spring. The chard got hit by the cold here not once, but twice, but it already looks as if it’s recovering. 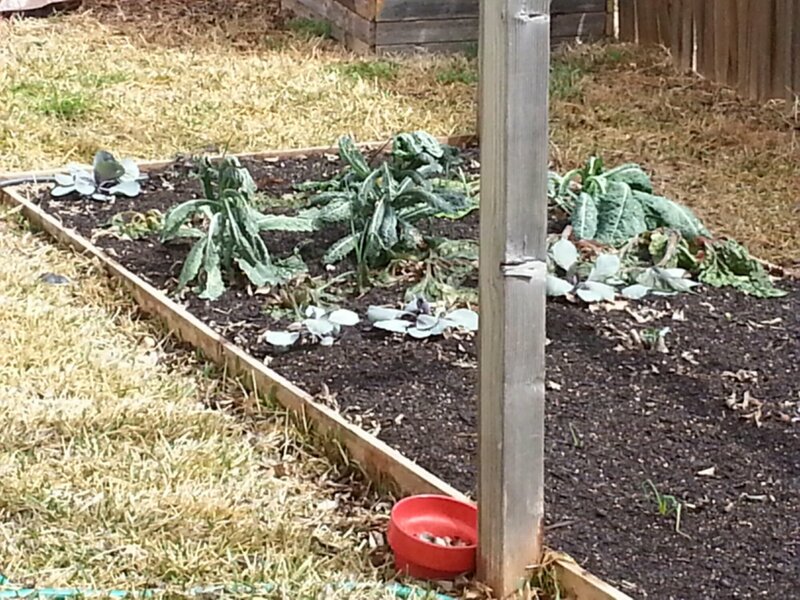 The red cabbage and brussels sprouts are chugging along. I will wait another week (for good measure) before putting tomatoes in the ground. Until then, I have plenty else to do…my yard looks awful after a year of neglect.